We're glad to announce the release of the KIT OPS Kitbashing add-on for Blender 2.79. 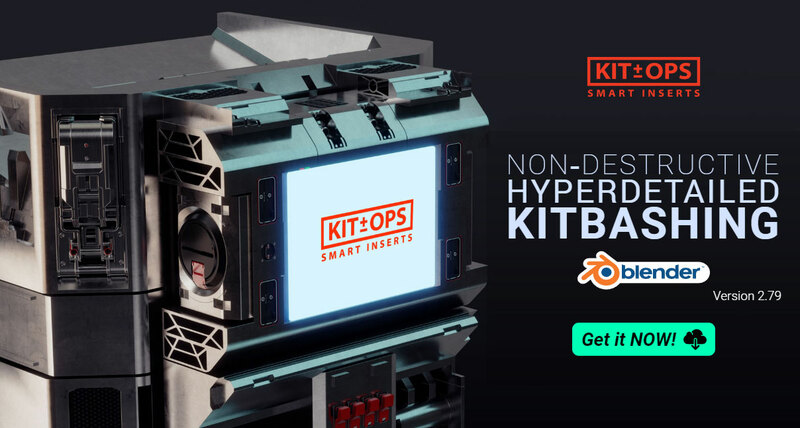 Brought to you by the same folks who created top addons Hard Ops and Boxcutter, KIT OPS makes short work of creating non-destructive designs of just about anything. There's a FREE version which can get you started. Of course if you want to create your own INSERTS then you'll need the PRO version-- which you're in luck, because for the next couple of weeks we're throwing in a set of 300 TECH INSERTS, each meticulously designed to quickly create your next sci-fi prop or building! Good to see a product designer making productivity addons for blender. Have to admit I secretly ditched Modo for Blender after stress testing it in concept product visualization and no one blinked. Isn't this just a direct copy of meshmachine? Is there a difference? MESHMachine is more of refined tool for modeling in edit mode, especially when dealing with the bevel tool. KitOPS uses a non-destructive boolean workflow to create forms quickly without regard to topology. The former is more for when you know what you want to build, the latter is for when you want to play with forms, similar to sculpting where you use multi-res refine and details to a sculpt and use dynotopo when you wanna play around and see what works before committing to doing the extensive detail work. Thank you for the detailed explanation, but meshmachine can do a lot more than a non destructive edit mode workflow, the dev is also developing plugs, which works very much the same way as this but fixes normals perfectly with it too. not only that, but HardOps already has its own integrated insert option, this addon feels a little.. unnecessary? Couple of points. HardOps implementation of inserts does not have an 'authoring' mode, nor does it have near the number of features as KIT OPS. KIT OPS has over 360 INSERTS available with many more on the way. KIT OPS inserts non-destructively and many times without the need for any normal "fixing." When normals need fixing, all three tools require one to apply modifiers and then begin to tweak the geometry in edit mode. Of course both Hard Ops and MESHmachine have built in tools to help resolve, or you can use Boxcutter or the Knife tool to help as well. Don't forget, masterxeon1001, creator of Hard Ops is one of the two partners creating KIT OPS. Try out the free version on Gumroad if you want to take it for a spin. Authoring mode is the ability for you to create your own inserts. Say you're creating a piece of furniture and you want to use bolts to hold it together. You can build your own bolt, washer, nut and hole, and create an INSERT out of it. Then you can use it as many times as you like. Plus, if you're using PRO mode you can align it with an edge or center of an existing object. After inserting it, (the bolt, the nut, the washer and the hole), you can select them all with one-click, Shift+D to duplicate, Shift+R to replicate. All the objects are moved and the modifiers are intelligently added.Try that with Hard Ops or MESHmachine. There are too many features to go 1-by-1 through a comparison. 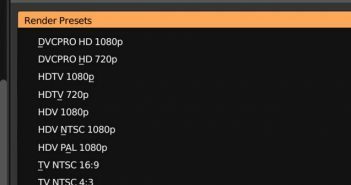 You might want to watch some of the many KIT OPS videos the creator of Hard Ops, masterxeon1001 has recently made. The short of it is KIT OPS is a dedicated tool for INSERTS only. Both the others, the insert mechanism is just one feature of a much broader user feature list-- and as such does not have as many options--PLUS KIT OPS has a free version with no timeout. Perhaps you can provide a link showing how you can make inserts in Hard Ops? In that video you reference, masterxeon1001 says in the second sentence after "Hello, everyone.." is "The first thing I will say is we do not do custom inserts at this time." It's clear to me you are a troll. Please go away. You've posted here 9 times, mostly the same thing and mostly negative. That is my definition of someone who is just trolling for a reaction. In the meantime, I (and others) tried to answer your questions and yet you still found something to complain about (even your last message). The reason I respond is not to convince you. That is probably out of the question, and I understand that. Besides, as I mentioned, you can download the FREE version if you want to give it a spin. No, the reason I answer is to make sure people have a clear picture of what this product is and it's differences from other products. So when you post disinformation about our product, there needs to be clarification. If you do not intend to be trolling, then I can safely assume this conversation is over. I guess some people can't take a bit of constructive criticism.. Have a bit more pride on your originality and make something people haven't done before, I'm sure you'll do marvelously... the reason I bought HardOPS is because it shortened a lot of my workflow (it sharpened, bevelled, mirrored(in 3 modes), added curve depth instantly, added a floating window for modifiers, materials, and all the essential modelling functions found in the properties tab), all of that for 20 (and it was cheaper at the time). This is a kitbashing tool with custom inserts and a 29 dollar price tag. I'd say a fair trade would be to give the addon itself with the kitbashing for free with donations of course and the 300 inserts as a payed surplus, that would definitely fit Blender's vision a lot more (and would probably sell better too). Please use whichever product you like. the integration is coming and will be very nice. for now it exists as a standalone with support but eventually will tie in deeper. it's gonna take a second but we have big plans for it. Just purchased. Awesome Add-On. I actually have Hard-Ops, Box Cutter & Meshmachine as well. Nice work on this new add on. Thanks for your support! Make sure you got the Bonus INSERT KPACK. More on the way! Plus, we're going to create a free update for 2.8 to early users of PRO. Hey Chip, you say "a free update to 2.8 for early users of PRO" do you mean that you will be charging for updates every time the blender version changes? or are updates free? No. We will charge on version updates to KIT OPS PRO. As of now, we are expecting to release a compatible version of PRO with before the production release of 2.8. It will be a completely different binary build, but will have mostly the same features. It will be a free update. Chipp - great read - good to see solid good product designers hard nosed logic being applied to someone whom obviously was trolling and a developer who is succinct with why this tool is different. I think many from the product design community will get the need for niche productivity of this conceptual type within blenders mix of capability where kitbashing is a huge part of rapid mechanical design visualization. Options within the market space is good (why don't trolls see that aspect of life) but then it is crucial having a solid professional team behind the toolset's creation (someone with a working background in product design over a lifetime is important and it shows in this tool). And it also helps to grow the tool and it's support - that adds in a dimension, few can argue with as experience is depth that some simply don't have. I think the troll missed that contribution to blender in their approach to chomp down on imagined comparisons, that were incorrect by their own admission. Hope to see this set mature, will be putting it through it's paces. Well done on putting people straight on what is obviously different. I chuckled at your response - excellent. yeah, you're right, I was absolutely trolling and chipp really put me straight, I'm so terribly sorry for voicing my opinion, I never once shunned any of you for voicing yours and I'll keep it that way. I never asked anyone not to buy the product, actually, I respect the amount of work that's been put into it, I just think it's not terribly original... but anywho, there's no convincing you guys, the oonly thing I want to do is to encourage this addon to become better and with more attractive updates, that's all, am I a troll for that? Thomas I think it's fair to conclude your raison d'être for posting comments is a fetish to troll another respondent whom had the foresight to applaud Chipp's addon and product design experience input into blenders stella addon talent pool. And whom also found his retort to your assumption (by your own admission incorrect) to be (fair) hard-nosed and logical ... in the face of what is now obviously your motive ... to have the last word. Next time perhaps think harder before getting out onto the internet and mistakenly making the broad brush stroke 'copy claim' that is dressed up as 'voiced opinion' & factually wrong at many nuanced technical levels. "Details do matter." < that should be your take home message. FYI - 'Opinion' when factually wrong, is called a 'fable'. Wear the 'other-sides' hat if you can empathize, before crafting a post. Keeping it current. Thomas check out president Trump's inability to stick to facts if you are in any doubt about how hideous fable telling can publicly get & how it can lead to a tarnished reputation played out in the weekly cartoon section. Mr.T is also good at trolling, possibly the best in modern twitter history. Moral to the story, like Trump don't get out at 1:11 AM in the morning (your post time stamp) and troll, it's not some reality show, this is real life, ... we mere mortals need their beauty sleep. Thomas - Hang up your honor badge it lost it's sarcastic luster when you decided you were somehow still right to persist in post 'tone' (under the 'now' moniker ... 'original' something or another) and the creator must be wrong to have the audacity to respond with cold hard 'facts' for points of obvious difference. And just so it doesn't fly over your head because I am not trying to convince you of anything ... all us "guys"! (otto is short for Ottoline) kinda tosses anyone by your way of imagined machismo online thinking into this unisex bag within product design and CG - so very Trumpian of you ! And yet another point of 'nuanced' difference. This is how you post topical & current satire, with an ironical twist of lemon. Please don't troll me, my email is on detox and pointed to my bin. Ok that's enough, now you're obviously trolling and I've removed your comment. Do it again and you'll get yourself a ban. Thanks OTTO. 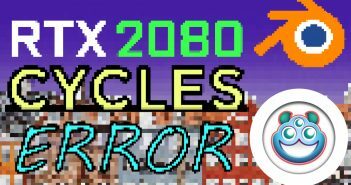 FWIW, masterxeon1001 is doing some really cool videos right now showing how to animate inserts. Some of the stuff is amazing. Plus, we've other developers working on some KPACKS. We want to help Blender Artists sell their KPACKS by setting up some links on our website (just pictures, descriptions with pass-through links to their Gumroad or other store). Some of the bigger names in Blender are working with KIT OPS. Including some of the top concept artists in Hollywood. It's really fun once you get the hang of it.